Explorer worked closely with world-renowned real estate developer Emaar Properties to customise our best-selling Dubai Residents’ Guide. 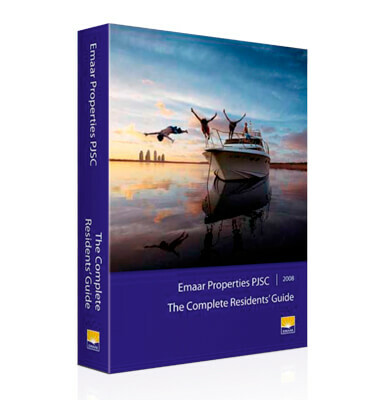 A bespoke cover and essential information specifically for those living in Emaar properties were added to our comprehensive guide to produce a special gift for new residents in the developer’s world-class communities. The in-depth chapters and detailed, pull-out city map helped to create a smooth transition for newcomers to Dubai.